More indigestion for the JP ll/Ratzinger bishops who showed little or no interest in the greatest moral issue of our time: climate change. 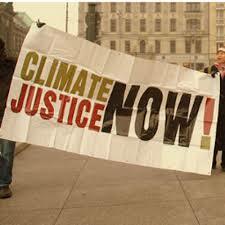 It is just reported that Pope Francis will be speaking for climate justice in the new year. Catholics will be specifically targeted with a papal encyclical after the pontiff visits Tacloban the Philippine city devastated by the typhoon Hayan in 2012. Undoubtedly there will be a fresh call to the 1.5 billion Catholics to get moving on this issue—and put the pelvic issues aside for now.